Is Donald Trump Taking Medications That Might Shrink His Balls? During the election, Donald Trump tried to keep as much secret from the American people as possible. A lot of noise was made about his refusal to release his tax returns, but just as weird was the medical letter proclaiming his health from Dr. Harold Bornstein. The utterly bizarre letter proclaimed Trump to be in better health than any President in history, which is a deeply untrue claim just because of his age. Bornstein stayed out of the public eye for a while, but he just popped his head up to talk to the New York Times about Trump’s health. Why? Lord only knows. 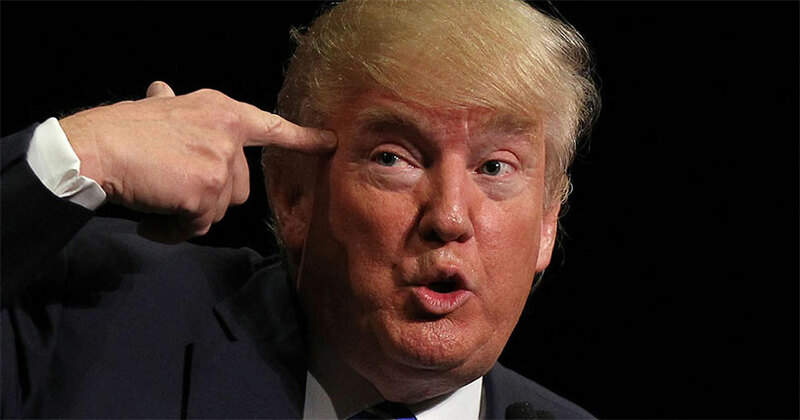 But we now know that Donald Trump takes a baby aspirin every day for heart health, a statin to control his cholesterol, antibiotics for the rosacea that gives his skin a reddish tone… and Propecia, an anti-baldness drug. That last one is the most interesting, because Propecia (the commercial formulation of the chemical finasteride) has some pretty dark side effects. Mood swings, depression, loss of libido and, yes, shrinking of the testicles. Is it too much to know about a President that he’s willing to shrink his balls instead of go bald? It might be. The mood swings and depression are just as worrisome, though.